Easy Zucchini Fritter Recipe - Foodie Friday - THE OLIVE BLOGGER - Recipes your family will love! Here is a recipe for a Zucchini Fritter that takes no time at all to make and serves a crowd! 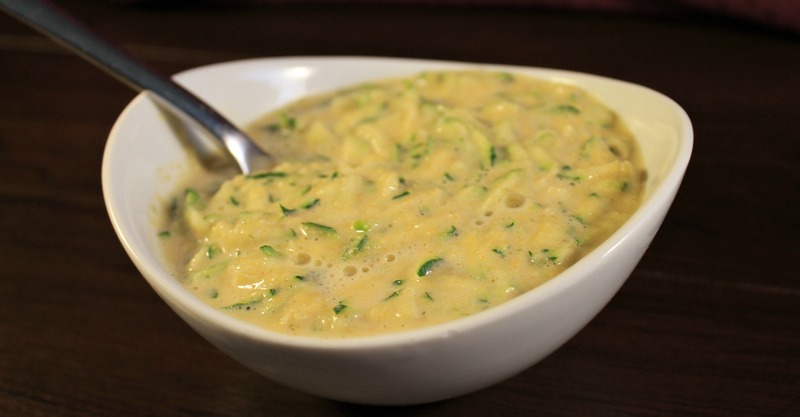 It is a good way to use up all those fresh zucchinis from your garden (or the local market!) and is something you can feel good about eating! We do ours fried in a small amount of oil, but you can bake them as well if you are looking to keep it a little bit healthier. They are also super easy to whip up, with just a few ingredients you are ready to go! Here are a couple of things to keep in mind when mixing them up. 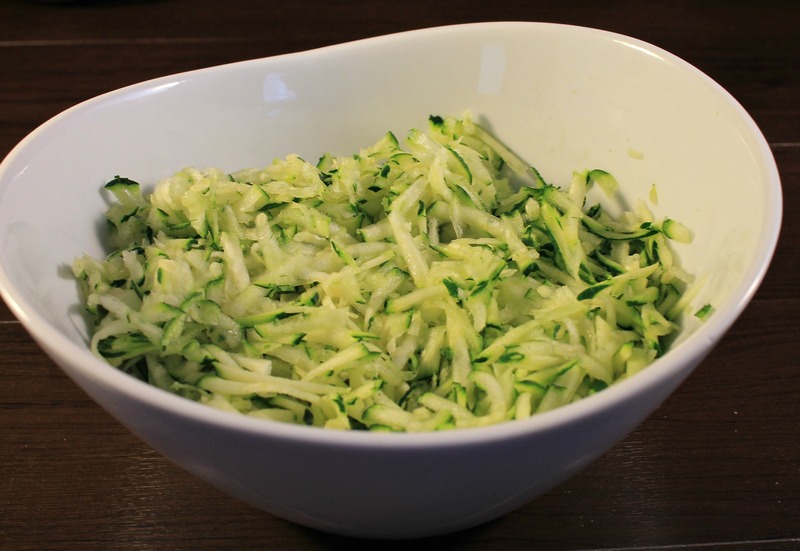 The key to getting a good consistency for your batter is by grating the zucchini (and using the smallest side of the grater) so that you still get the texture and color from the zucchini but it melts into the batter when you cook it! Look at the photo above, perfect consistent pieces of zucchini for our batter. There is nothing worse than a chunky zucchini fritter! Also, do not overcook these! Only fry them until your dough is cooked through (about 2 mins per side) so that they don’t try out. Lastly, they are best served warm (in my personal opinion) but are still quite tasty the next day…if they last! You could even pair these up with the Sweet Potato Fritters we made a couple months ago to add variety to your next get together..Mmm just think of how happy everyone’s tummies will be! Now, on to the recipe! It makes about 12 3″ patties, which you can always make smaller to feed a larger crowd. The smaller ones are also nice for an appetizer, a one-bite Zucchini Fritter if you will! Heat oil in a medium pan over medium-high heat. Whisk together your egg and milk in a medium bowl. In a small bowl, sift together flour, paprika, and salt. Add in cornmeal and mix with fork. Add your dry ingredients into the wet and mix well until a thick batter forms. Using a ladle, add to your hot pan and cook about 2 mins per side. When slightly golden remove from pan and put on paper towel to remove excess oil. Thanks Candy! Adds a really nice flavor to the traditional fritter batter! Glad you think so!! Whip em up and let me know what you thought! Looks delicious! I was planning on picking up zucchini at the market today, so will definitely try these out 🙂 thanks! Oh that’s perfect Jenni! Let me know what you thought of them and if you add anything else to make em your own! looks good!!! thanks for sharing! These look really delicious! I have been wanting to try these for a while now. I also think they would be great for our little one to try. Thank you for sharing. I’m totally trying this! They look so yummy! This looks so yummy! My aunt has an overload of squash and zucchini, so I will definitely be sharing with her! Yumm!! That’s nice of you to share 🙂 I hope you guys love them! These look delicious! I’m always trying to find new ways to use zucchini!